The Lyric Opera of Chicago certainly went to the top of that list. “The people’s diva” is everywhere on the opera scene: hosting radio and television broadcasts, performing on stage and in concert stateside and abroad, and an active recitalist. The Board of Directors of Lyric Opera of Chicago announced yesterday that famed soprano Renée Fleming has added one more huge credit to that list. She assumes the role of Creative Consultant, a first in this company’s history. Simultaneously, she and Sir Andrew Davis, Lyric’s music director, were elected to the Board of Directors as Vice-Presidents. Ms. Fleming’s appointment as Creative Consultant is effective immediately, for a term of five years. Curating a world-premiere opera to début in the 2015-16 season. Collaborating with other Chicago-based arts institutions to send a special message about the strength of culture in Chicago. Fostering an annual commitment to American Music Theater, starting with a new production of Rodgers and Hammerstein’s Oklahoma in the spring of 2013. Further developing Lyric’s young-professionals initiative, which takes opera into the workplace and provides entry-level experiences for the curious adult. Expanding the education activities of Lyric to include a joint program with the Merit School of Music devoted to finding and nurturing young, talented singers in the Chicago area, and to making Lyric more accessible to the children and young adults involved in all areas of music education at Merit. 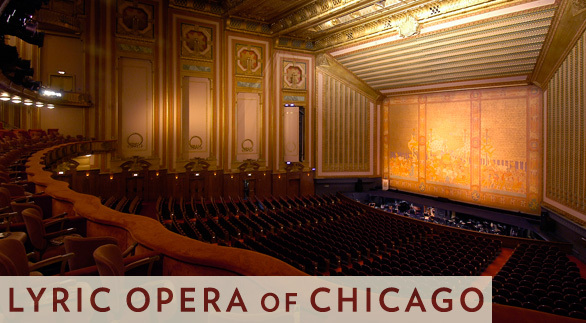 Presenting non-operatic and off-season performances at the Civic Opera House. Continuing her on-stage presence at Lyric, including a Subscriber Appreciation Concert with Dmitri Hvorostovsky honoring General Director William Mason on January 7, 2012; staged concert performances of André Previn’s A Streetcar Named Desire with Ms. Fleming in the role created for her, Blanche DuBois, in spring 2013; a production of Capriccio for fall 2014, in which Ms. Fleming will sing the Countess (both A Streetcar Named Desire and Capriccio will be part of Lyric’s subscription season); and participation in Lyric’s 60th Anniversary Gala on November 1, 2014. Establishing a prominent presence in a variety of web-based marketing projects, as well as in print and broadcast media. Ms. Fleming and Sir Andrew Davis are already in preparation for an audio/video series that will introduce audiences to the new 2011-12 season. Lyric Opera of Chicago is potentially the only opera company in the states as well-positioned on the cusp of the classical music revolution. With this newest addition to their creative team, they are boldly making the statement – we are going to be doing things a bit differently. They seem to be suggesting that they are actively working against the stuffiness and blandness that maligns opera today. Their commitment to developing more young artists is an invitation to the singing community to be a part of this renaissance.